With the United Bikes "Dinero V2" BMX Fork the guys from United created another high-quality fork. The fork is light, firm and has some nice features. 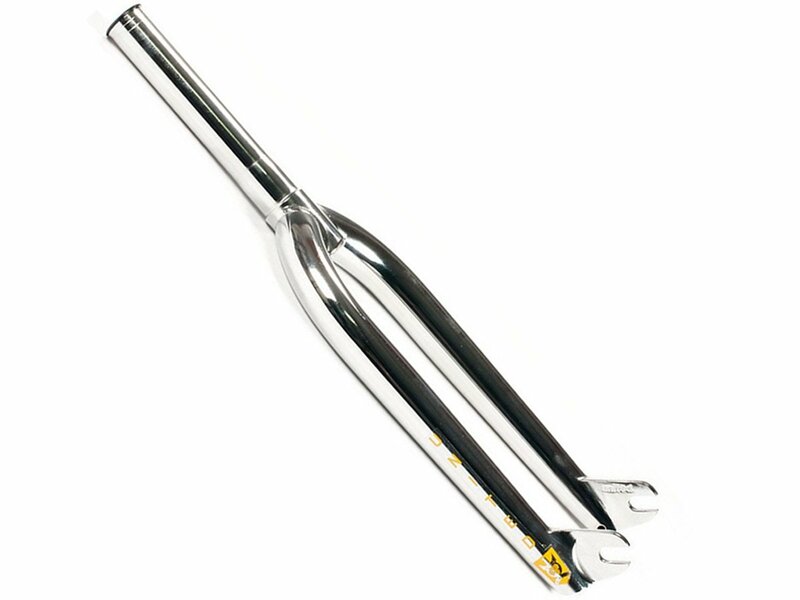 For example they used a investment cast dropout and curved the very bottom of the United Bikes "Dinero V2" BMX Fork to prevent any catching when getting all locked in with front peg grinds. All rounded up with a smooth United-logo at the end of the fork.